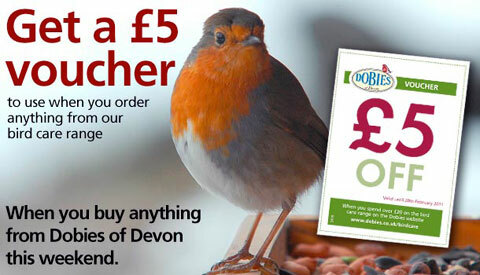 Just a quick note to highlight a quick offer – for this weekend only, December 10-11 2010, Dobies of Devon are offering a £5 voucher to anyone who makes a purchase on their website. 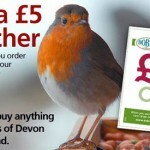 Once you’ve bought something they’ll email you the voucher, which can be used to get the saving on any one purchase of £20 or more from their birdcare range before the end of February next year. Visit the Dobies website here. Categorised under Deals and offers, tagged under Dobies of Devon.